â€œWe would like to welcome our new Sponsor Tt eSPORTS. Tt eSPORTS will begin supporting our North American Division with the teams that play Counter-Strike:GO and league of legends . We are very proud to have them sponsoring myRevenge and we are looking forward to representing them. By Team Manager & Captain, David Medina. The banner looks good and we are proud to be part of TteSPORTS. Welcome to the team guys! Team myRevenge e.V. 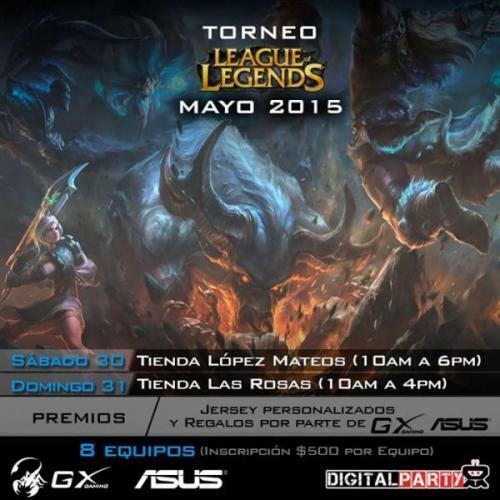 is going to represent Tt eSPORTS at Digital Party, League of Legends tournament. Stay tuned for more exclusive coverage. We appreciate the opportunity to be part of Tt eSPORTS. I would like to thank our new Sponsor Tt eSPORTS for the new Gaming Gear!!!! Quiero darle las gracias a nuestro Patrocinador www.TteSPORTS.com por mandar estos perifericos!!!!! You will definitely fell in love with these gears! Welcome guys!! Let us know if any news from game competition and you can post here all the time!! Yes, we have a League of Legends Lan Tournament coming up this weekend. I will post it as soon as I get home. Come and support the League og Legends team of myRevenge playing their first match in the Digital Party Tournament. myRevenge e.V. League of Legends team is about to play in the semifinal match. Best of 3 games, This is GAME 1. Here is a picture of the players with some of the Tt eSPORTS Gear at the Lan tournament. I want to thank our sponsor for Ttesports welcome us to his team is an honor to represent your brand. I send greetings from mexico. I would like to thank our new sponsor Tt eSPORTS by the new playing kit and give us the opportunity to represent their brand . Welcome to the Tt eSPORTS family! VENTUS X un-boxing video by Team MyRevenge! Congratulations! Team MyRevenge e.V. 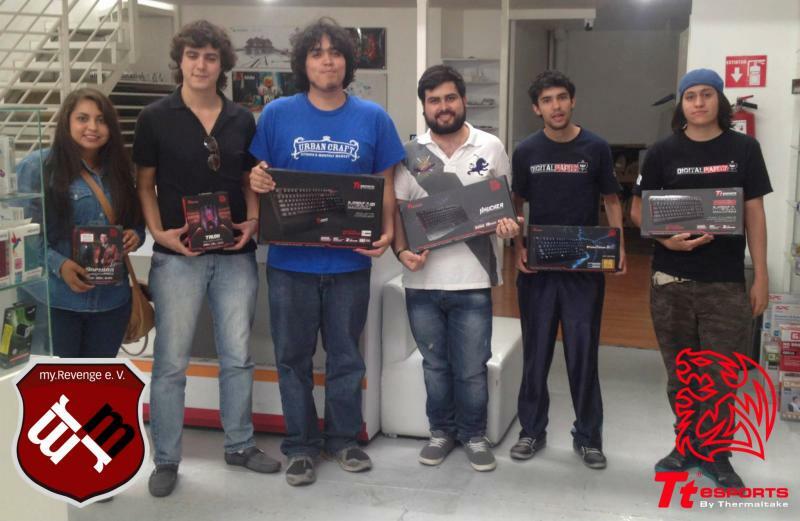 MX League of Legends Team has just won the Digital Party League of Legends Tournament Champion. The team played very well and did not lose one game in the whole tournament. They are very proud to be the CHAMPIONS of this toournament and be able to represent Tt eSPORST as our SPONSOR. 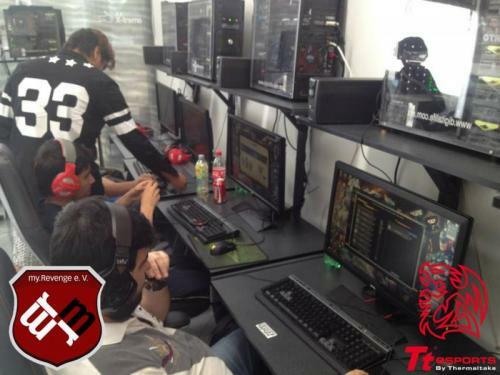 A lot of thanks for to our new sponsor Tt eSports, thanks for trusting us for represent your brand. I would like to thank Tt eSPORTS for giving us the opportunity to be part of the Tt eSPORTS FAMILY, we will make you Proud. Hey guys do not forget the Summer Sale for games in the steam clients you might be able to get some good games at a very cheap price. Games we play like Counter Strike Global offensive are on sale check it out. Do not forget to follow us on https://www.facebook.com/myrevmx.